There’s exciting news for foodies and beer drinkers in Belmont! Downtown Belmont is getting another new restaurant. Rivermen Brewing, which is currently located in a brick warehouse complex near the Catawba River marina in Belmont, is moving to a larger space in the former WM Hall & Sons mill building at 52 Ervin Street in downtown Belmont near the String Bean and the new Nellie’s Southern Kitchen. The space will not only house the brewery but also a restaurant run by Cassie Parsons as the executive chef, who currently owns Harvest Food Grille in Lincolnton and who got her start at the restaurant at The Dunhill in Charlotte. 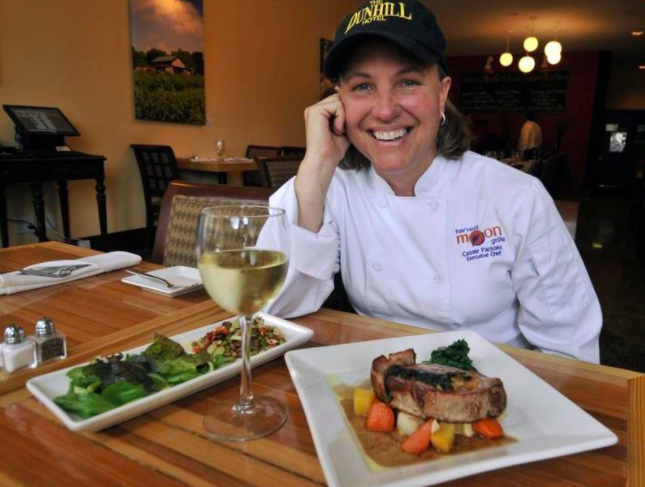 Parsons will focus on local, fresh and clean cooking using ingredients with a global twist. The dining room will be communal style with shared tables and will seat 110 guests inside, as well as 100 guests outside on the patio. The restaurant is zoned to seat up to 400 people. The brewery and restaurant are slated to open by August, with hopes of having things completed even sooner. For more information on the new Rivermen Brewery and Cafe in Belmont, check out the full article at CharlotteObserver.com.